The Western Sydney Wanderers have signed Seyi Adeleke from Lazio of Italy. The Nigerian 22 year old central midfielder/left fullback joins the club having spent the majority of the past three seasons on numerous loan spells away from the Italian giants, who decided to cut their losses and allow Adeleke to leave the club on a free transfer to Western Sydney. 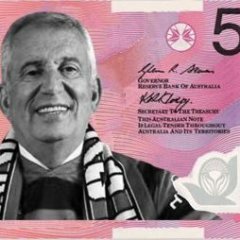 There is no word as yet to how long the contract is for, but even a 1 year deal will put heavy pressure on the place of Iacopo La Rocca, while a 2 year deal would surely see the end of the Italian central midfielder, as the A-League, under pressure from the local players association, will cut the number of foreigner places from 5 to 4 at the conclusion of the 2014/15 season. Adeleke is the 21st signing in a potentially 23 strong A-League squad, leaving two positions, one of which is widely tipped to be filled by Australian forward James Troisi. Mod Note: I hate to be the fun police, but im not sure this is appropriate. That's one ex-Lazio player fighting for the same position with another ex-Lazio player, right? I expect he's been earmarked for the LB position. Much like Polenz, he has experience playing in the midfield, but I expect Popa intends to use him as a defender. Nah I respect that bro. The angry scouse was funny though! has anyone seen this guy play? Looks like the kind of fullback that can bomb forward and link up with the winger. Another youtube video, although I don't speak italian. any help? I read the first sentence as the nigerian 22 year old central fullback joins the club. Current ability is 85 (which is around the low-middle tier of A-League, eg Heffernan was 87, Golec 89, Cole 91). Looks completely left footed, and is listed as only a left fullback, nothing for midfield. His mental attributes are middle of the road but unlikely to have been investigated much at all, since he's been on loan for 3 or so seasons I doubt anyone cared, his pace attributes are around 13. Technicals are about what you'd expect from a left fullback but again probably not bothered being scouted properly. All in all, I'd say the only things that really have any basis in reality would be his pace attributes, his age, being a fullback and his name. It's his 1st interview from when he started with Salernitana 2012, midfielder , has played LB n wing as well n type of player that runs, I guess as an overlapping type player.Interviewer asked him if he prefers defending or attacking, he replied at the moment his playing in the midfield so attacking, but he doesn't mind playing LB either. He sounds like he's fast n by the looks on that video he has skill too! Let's hope he can do an Adama Traore... or better! look reality is we cant expect all our signings to be outstanding successes. A lot of new signings this year. Need time to gel. We needed a LB badly & i hope that this fella can fill the role effectively. Considering the amount of flak the previous LB got (mainly unwarranted), it should not be hard to be an upgrade & thus an improvement to the squad. I hope he has the capacity to get up & down the left flank in a manner that Polenz was able to on the right. I'm sure he has been scouted as effectively as possible & will be a good fit for the club. The best bit about this article is that Mack still thinks we are a chance with Troisi. The mail about us closing in on a 5th visa player, in which we were just awaiting a clearance was spot on. I have no reason to doubt Taurus, or the multiple media reports, that all indicate the same thing. Troisi is a done deal, just finalising some final details. If popa has pin pointed this particular stranger then he obviously sees something ala Polenz. Im rather excited to see some pace and power down the left! Do you know something that suggests otherwise? No. just that this Troisi thing has been doing the rounds for a while and with no confirmation i was beginning to think it wont happen. in season 1 who had heard of hersi, poljak, polenz or la rocca ??? But can he even Dale? 12 appearances in challenge league (Switzerland) and 1 in Swiss cup. The NRMA Insurance Western Sydney Wanderers today announced the signing of Nigerian Seyi Adeleke on a one-year contract for the upcoming Hyundai A-League season. The Lagos born left-footed defender will arrive in Australia after spending the beginning of his professional career in Italy and Switzerland following his signing with Italian giants SS Lazio in 2009. Western Sydney Wanderers CEO John Tsatsimas said the signing of Adeleke fills out this seasonâ€™s foreign player contingent but also highlights the Wanderers rich multicultural diversity. â€œIt is great to finalise our foreign player contingent with the signing of another young and versatile player,â€ said Tsatsimas. â€œWe operate in a global marketplace and Adelekeâ€™s signing indicates that we will look at all opportunities to improve our squad to truly reflect the region we live in. Adeleke will link up with the Wanderers in the coming weeks to commence preparations for the start of the Hyundai A-League 2014/15 season which kicks off on 10 October against Melbourne Victory at Etihad Stadium.